It’s fitting that in the midst of the logomania fashion craze, the king of branding, Karl Lagerfeld, has teamed up with ModelCo for a makeup line inspired by — what else — himself. 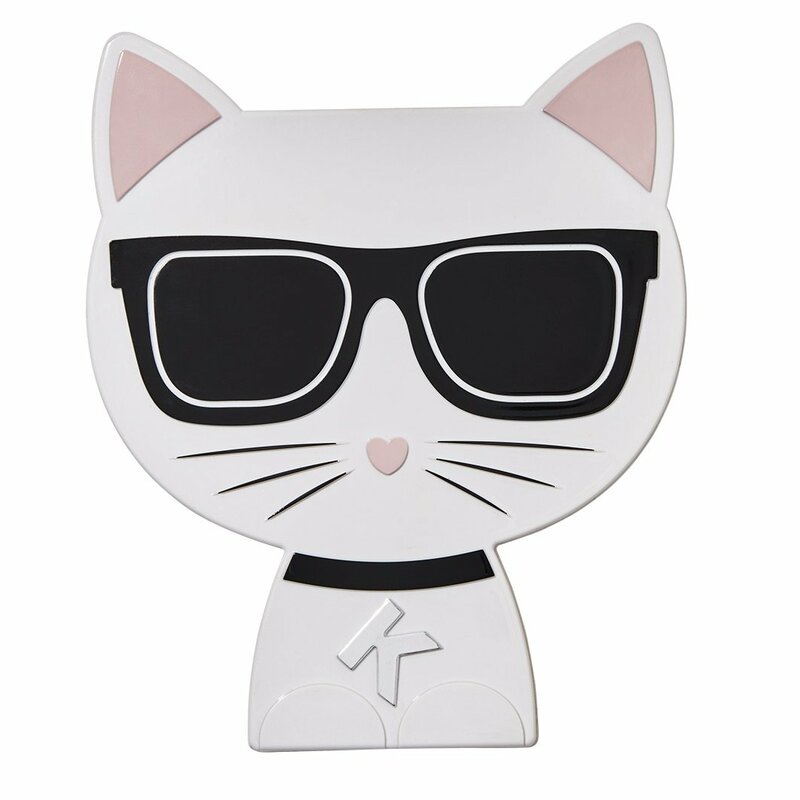 Full of his iconic silhouette and, of course, Choupette, the limited-edition color collection launches today exclusively at Nordstrom and Nordstrom.com. Not familiar with ModelCo? If you’ve ever seen a heated eyelash curler or a mirrored LED light lip gloss, it has likely been or been inspired by the innovative Australian beauty brand known for creating a number of first-to-market innovations. We spoke with brand founder Shelley Sullivan, who was a modeling agent in the 90s and was inspired by models off duty when creating the line, about how her collaboration with Karl came about, Stella Maxwell (the face of the collection) and more. 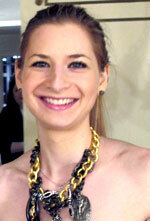 theFashionSpot: How did the partnership with Karl Lagerfeld come about? Shelley Sullivan: The Hailey Baldwin for ModelCo campaign was featured on the front page of WWD highlighting the huge success of the collection and I received an email from the office of Karl Lagerfeld requesting a meeting to discuss co-producing a beauty range. In the months that eventuated, ModelCo successfully pitched and won the beauty contract with Karl Lagerfeld. I was honored to fuse ModelCo’s beauty knowledge with one of the world’s most renowned and iconic names in design to produce the Karl Lagerfeld + ModelCo limited-edition color cosmetics collection, launching May 14. Each product carries ModelCo’s signature innovative design and the result is a tightly edited, collectible range of über cool, on-trend beauty products suitable for all skin types. tFS: How involved was Karl Lagerfeld personally? SS: As the creative director of the Karl Lagerfeld team, he oversaw the design of the collection. tFS: What surprised you most about working with him/his team? SS: I was impressed with his take on popular culture; he really has his finger on the pulse of what’s hot. His team was incredible to work with, very creative, fashion-forward and made the creation of the product range a dream. tFS: Can you discuss how you came up with the product design? The color palette? SS: The Karl Lagerfeld + ModelCo collection is a fusion of fashion and beauty and the color palette mimics the trends and colorways that are in fashion at the moment. 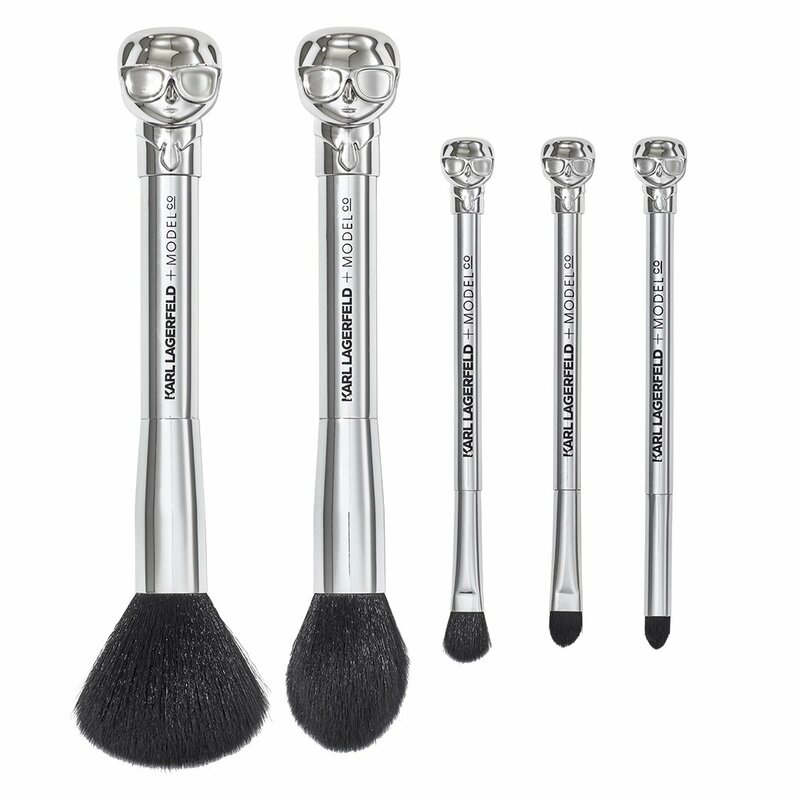 We also added in some of ModelCo’s cult-favorite beauty products, such as the Turbo Lashwand Heated Eyelash Curler, Fibre Lash Brush-On False Lashes and Lip Lights. tFS: Is there one “hero” product you could single out? 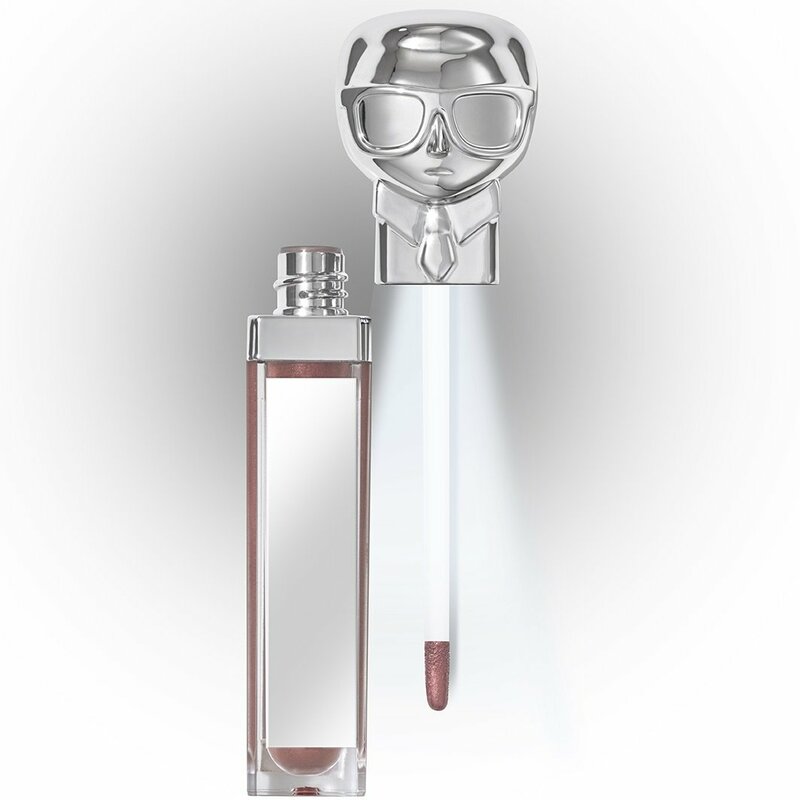 SS: Definitely the Lip Lights range featuring Karl’s head, the light and the mirror. They will eventually become collector’s items! tFS: Why did you want Stella Maxwell to front the campaign? tFS: Any future collaborations on your wishlist? SS: I am always open to collaborating with like-minded brands who are fashion-forward and have the WOW factor like ModelCo. Check out the entire collection below, launching today at Nordstrom.com.